SportsBetting is relatively famous privately held company, and a well-known gaming operator was servicing many countries around the world. The online bookmaker was found in 1999, and it is licensed in Antigua. Compared to many other bookies from the gambling industry, it removed all limitations and had no restrictions on their players’ nationality. They accept gamblers from the US. According to previous reports, SportsBetting had some suspicious activity back in the days with players who couldn’t cash out their funds. The case had a very negative impact on the bookie’s rating, which was decreased to D+. However, with the new management by BetOnline Group in 2012, SportsBetting managed to restore its reputation and raised its rank to A-. It looks like despite the ups and downs the company has made the needed changes and recovered some of the lost reputation. Their effort has not become unnoticed. Nowadays, this online betting company is still a good choice for gamblers with nearly 1 million currently active accounts. There are many more joining daily and if this keeps up they will be a contender for the tops spots in the online gambling business. Let’s see if it will make it into top 10 in the next few years. 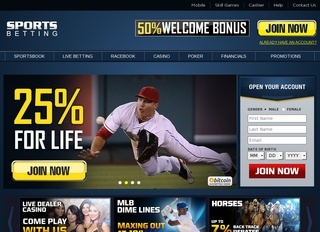 Betting experience with the site is very easy for everyone. It doesn’t matter if you’re a new user, you’ll find the platform very easy to use. Navigation is pretty self-explanatory, and you’ll find every wager you’re looking for with a few clicks. Every upcoming sporting event will be easy to access and bet on a market while having the flexibility to check on their odds. The site works on all browsers including Internet Explorer, Firefox, Chrome and many more. The site supports wagers in sports such as Soccer, Tennis, Snooker, Lacross, NFL, Basketball, Baseball, Golf, Auto Racing, Martial Arts and many more. Live betting is available to the user for most major events. Horse racing is also a part of the bookmakers selection, and it offers the expected rebates on losing bets. You can let yourself loose on horse race betting. The mobile betting platform is excellent with most of the famous operational systems support (Android and IOS). The site has an excellent Casino where you can try your luck at poker games, Black Jack, Roulette and Slots. It also offers a broad range of virtual games which include Yahtzee, Dominoes, Gin Rummy, Spades, and Tonk. The online bookmaker allows all sorts of bets to be made. For every sport, there is a section explaining the extraordinary odds and offers from the bookmaker. Gold odds, for instance, include a variety of PGA odds to pick from. Every section of the website contains detailed information about the current status of the sports event and the athletes participating in it. This news section is specially designed to help customers in their online betting experience. As different sports events allow various types of odds to be made such as the kind of punch landed first in a boxing match, the online bookie provides sufficient information on the event and its specifics and characteristics. Sportsbetting also offers the handicap, Asian handicap, correct scores, etc. The “Help” section on the site can provide you easy answers to all questions you might have about using the site. Everything concerning your deposits, withdrawals or bonuses is thoroughly explained and easy to understand. Users of the betting platform will be pleasantly surprised to find that their personal data and funds are at all times secure and protected. 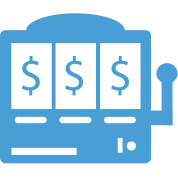 Everything else you need will be taken care of the customer support team which works 24/7 to ensure are you betting experience is hassle-free. You can contact them via live chat, phone or email. Don’t hesitate to ask all questions you might have about placing bets, terms and conditions, and difficulties with the site. The customer support team will do their best to make your betting experience easy and without worries. If you have questions about security and privacy details you can send your emails at any time of the day and the team will try to respond right away. The website accepts US dollars as a primary currency for making deposits. It allows vast variety of paying alternatives. With all these options, there is a common problem with the international transaction when making a deposit. Sometimes your deposit may be declined. In such case, the customer should call the bank and ask for his/her credit card to be opened for international transactions. Once that done, it usually takes a little time until the deposit is made. Payouts request can be done at any time of the day. Each customer should only go to his/her account and request he payout. Once that done, the bookmakers need 24 hours for the payout request to be reviewed and processed. That process takes place Monday to Friday from 9.00a.m. to 1.00 p.m. Third-party payouts are not permitted. 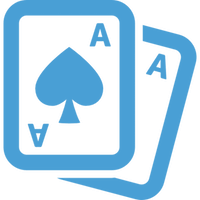 .Customers winnings from a poker freeroll with no previous deposits should make a minimum deposit and roll that amount over at least once on any sport prior to their payout being approved. Bonuses can be received on request. Every time the customer makes a deposit he/she should use a unique code and ask for the bonus. 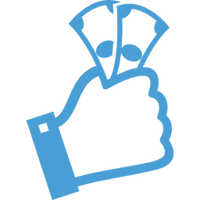 After that, the bookmaker will consider if the account is eligible for the bonus it will be added immediately to the account. The website offers up to 50% bonus when making your first deposit. You have to send this promo code “SB1000” and can receive up to $1000 on top of your initial deposit. Exclusive offer: If you have never made a deposit with cryptocurrency like Bitcoin, Bitcoin Cash, Ethereum, DASH or Litecoin before, there is a tempting 50% Bonus on your first deposit. The promo code is BETCRYPTO and depositing amount from just $20 up to $500 the bookmaker will give you 50% bonus of the same cryptocurrency. There are also different bonuses for the various sports events such as kick off bonus for the start of the football season. Up to $50 bonus when placing your first mobile sports bet. There are also the casino and poker promotions alongside the skill game promotions.